Last week, Jane had to reduce her hours at work to start providing more care for her aging father. Since recovering from a fall last year, he’s never quite gotten back to his old self and requires help with preparing meals, keeping up the house and managing his medication routine. The lack of work is taxing Jane’s bank account, but she just doesn’t know how she could afford to hire someone else, such as an in-home care agency equipped with homecare software or a homecare system, to watch out for Dad during the day. Funding from a senior's retirement or pension benefits, as well as other investments, should be utilized to help pay for care, if available. Managing the use of these funds with the assistance of an elder law attorney will help reduce tax liabilities and ensure proper withdrawal and use. 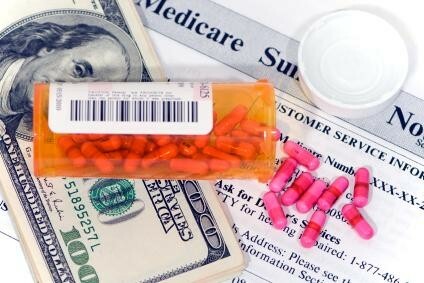 These kinds of funds are commonly unrestricted once withdrawn and can be used to pay for a homecare provider, such as one with a homecare software or homecare system, or to help foot the bill for medications or medical equipment. Seniors who own their home may be able to use the equity in their home to pay for elder care by taking out a reverse mortgage. The cash can then be used to pay for a reputable homecare provider who uses a homecare software or homecare system to communicate with family members and still ensure a high level of care. To investigate a second mortgage, seniors and their caregiver should consult with their banker and an elder law attorney. Various programs exist for seniors who do not have any financial nest egg of their own, or who have run out of cash. For example, Medicaid in some states provides access to home care, allowing families with insufficient financial resources to work with a homecare provider. Your local Area Council on Aging or state Medicaid office may be able to help provide links to these resources. Be sure to ask if they provide referrals to reputable providers that utilize a homecare software or homecare system, like ClearCare, to keep families up to date on care progress. Seniors that fall into special groups, such as Veterans, may qualify for assistance to pay for care via special programs, such as those listed in our previous blog post “Paying for Homecare” . Additionally, non-profit groups in your area may also offer some care assistance through respite programs. Financial assistance from specialty programs may be a short-term resource to help you access home care while you develop a plan for long-term eldercare financing. However, even short term care can give family members a cushion of time to develop a long-term plan, as well as see how utilizing an elder care agency and technologies like homecare software or a homecare system may help relieve the burden of care. Regardless of how your family pays for eldercare, it is imperative to work with a homecare provider that you trust. Homecare software or a homecare system, such as ClearCare, can help family members track care plan progress, ensure that caregivers have arrived and feel just as involved in care as if they were in the home themselves. Once financial assistance is in place, and a homecare provider has been identified, family caregivers can rely on their funding plan and a homecare software or homecare system to help them keep in touch – and reduce the stress of balancing needed care, career, and a budget.